Top image: States Times Review/Fb. Assisted by Clara Tan (contributor). Once upon a time, the States Times Review (STR) reader was a normal person. They sat next to us in school. During recess, they played hopscotch, and ate from the same 50-cent fishball noodle stall as the rest of us. Every semester, they competed with their 39 other classmates for first place in class. In essence, the STR reader was once an ordinary child with the potential to grow into a right-minded member of society. Specifically, what did it take to turn regular citizens into radical crazies parroting baseless, emotional, and uncreative anti-establishment messages on the STR’s Facebook page? When did these people decide to throw more than a decade’s worth of education and all caution to the wind, and surrender to the Cult of Alex Tan? More importantly, how will they survive amidst the government’s impending fake news laws? 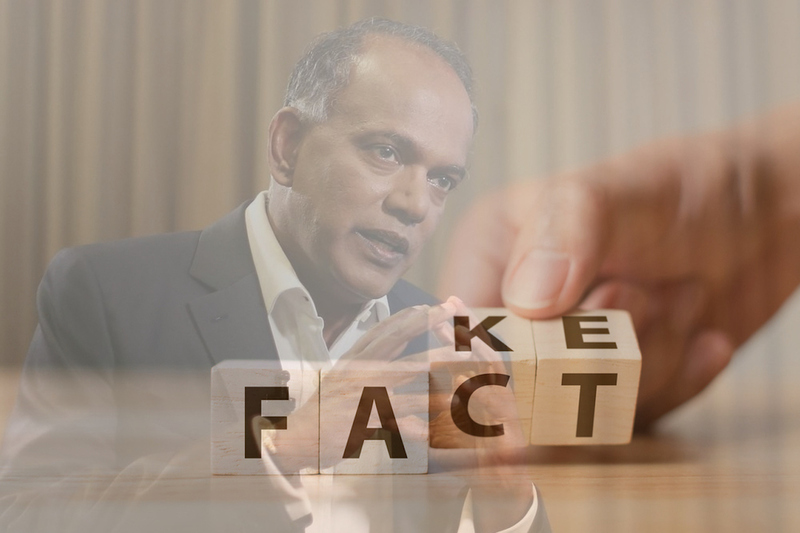 The STR was recently flagged by Law and Home Affairs Minister K Shanmugam after they published a “baseless and defamatory” article linking Prime Minister Lee Hsien Loong with 1Malaysia Development Berhad (1MDB) investigations. 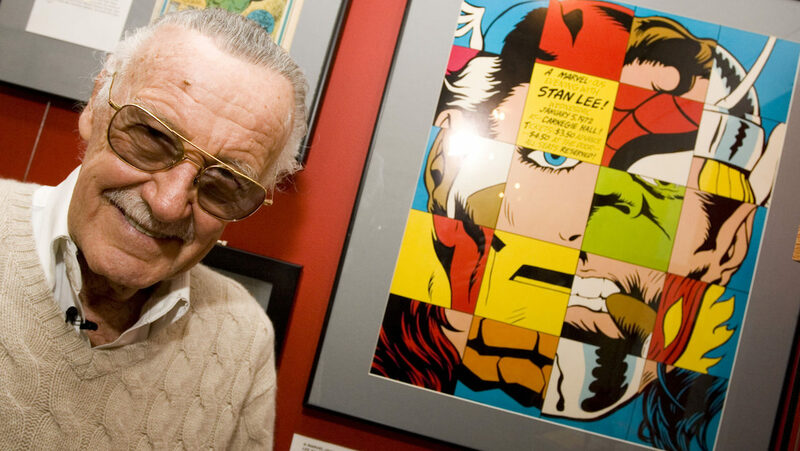 Shortly after, the site ceased operations. Yet as the STR’s Facebook comments show, their readers are so far down the rabbit hole that they exist in a different reality altogether. Moreover, the issue of “fake news” has hardly been addressed. The government has simply done what they always have: treated the symptom. If they truly wish to stem the spread of “fake news”, they must acknowledge that the real cause of the problem is the STR reader. To start, consider the STR reader’s style of fighting. 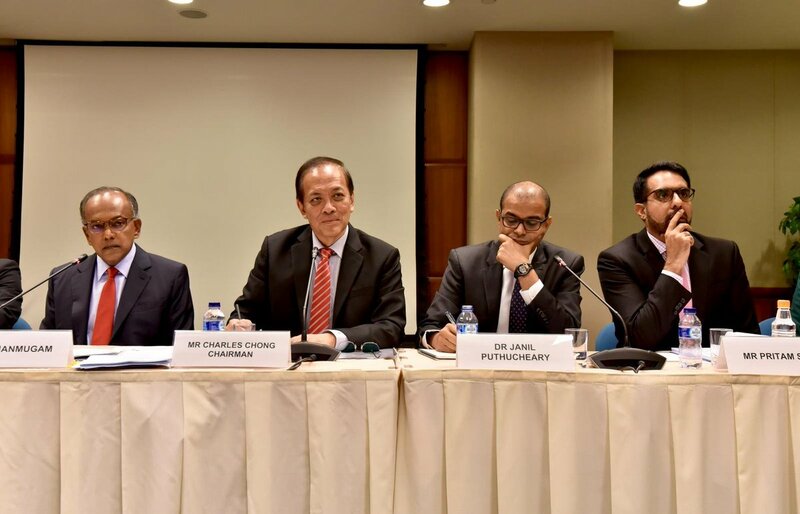 Aside from political ideology, they are essentially no different from their arch nemesis (and yet another seemingly cult-like operative), the “PAP IB”. The two groups probably even have a whole folder of JPEGs constructed on MS Paint about the “lies” spoken by the government and opposition respectively, all ready to unleash on their unsuspecting Facebook friends. Like the PAP IB, the STR reader is dogmatic and obsessive when it comes to pushing their perspectives. Yet this is often done without conviction, both in head and heart. They appear to consistently echo an invisible teleprompter, as though they don’t know what to say beyond various iterations of a single, superficial point: the PAP is corrupt. The latter is referring to the STR’s article about our Prime Minister’s connections to 1MDB that got the site shut down. 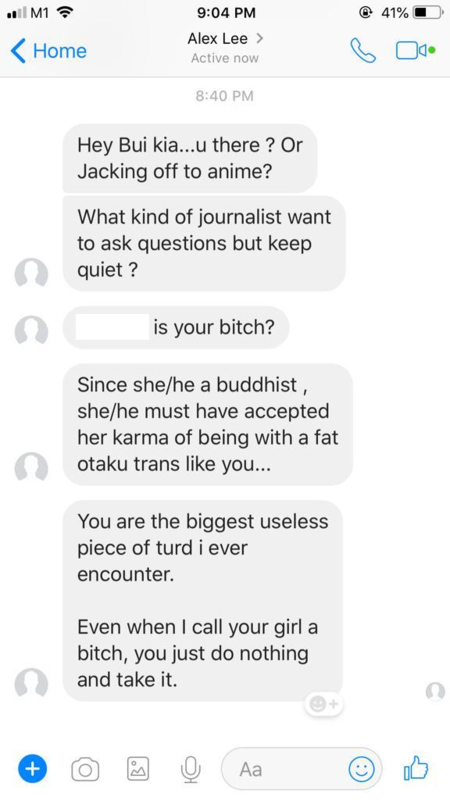 Some of the personal attacks from "Alex Lee", an STR reader. While the STR reader might be aggressive, they are largely uninterested in actually engaging with complex, opposing opinions. They don’t genuinely care for robust and intellectual debate for the greater good of Singapore, which many others who disagree with the government are willing to do. Basically, an online argument is merely a stage to show off their false bravado; a medal of honour for taking one for the team. 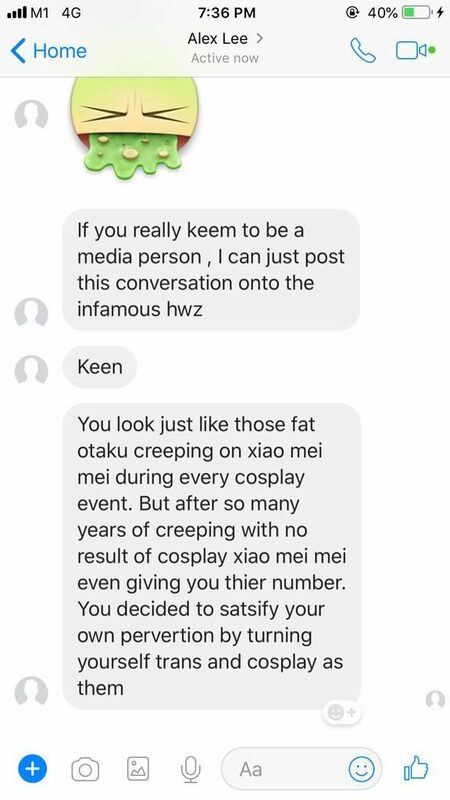 For instance, one of our writers reached out to “Alex Lee”, an anonymous Facebook user who reads the STR, for his thoughts on the site’s closure. Alex quickly revealed his lack of sophistication by turning the conversation into a barrage of personal attacks. Even when our writer chose not to reply, he continued with his garbled tirade, desperate to have his words count for something. Otherwise, they may evade pointed criticism by calling detractors “PAPpie dogs”, as though the other party was automatically pro-PAP because they’d questioned the STR reader. Without logic and facts that stand up to scrutiny to backup their claims, the STR reader is left to peddle emotion. To them, the cycle of unbridled rage is a comfort zone. It may pander to extreme sentiment, but it’s predictable and safe. More importantly, anger is all-consuming. It doesn’t require the STR reader to examine their biases; simply lean into them. Beyond analysing their methods of ‘engagement’, understanding the STR reader includes trying to figure out how they developed their perspectives. It’s reasonable to assume that many STR readers fall into “the 30%”. As such, they are often treated as a monolithic demographic, devoid of varying, independent thought beyond their uniform perspectives. 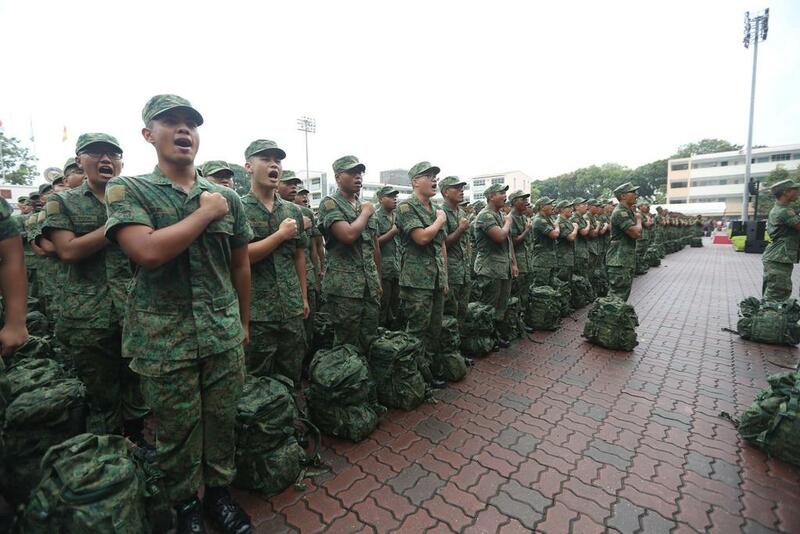 They all want the government to “return [their] CPF money”, think that PM Lee is a “dishonourable” son, and plan to “give up Singapore citizenship” in a final act of martyrdom that literally no one will notice. It can also be convenient to reduce them to the simplistic caricature of an angry, faceless mob. Their arguments tend to be unfounded and so extreme that they surely serve as a litmus test for basic intelligence. Almost every post on STR’s page unapologetically describes the government as a “dictatorship”, even as their followers also engage in tyrannical rhetoric. Because of their virulent anger, some believe that STR readers are really just unhappy with their lives and/or themselves. Yet reading through their comments is surreal because one infers a warped victim mentality, although not the kind that generates pity. The STR reader would rather die (or relocate to Australia) than muster the courage for deep self-reflection. Mostly, their insecurity manifests through condescension, where they frequently overcompensate by using ‘big’ words like “democracy”, “cronyism”, and “impugn”, even if they may not fully grasp the nuances of these terms. This might make them nothing more than annoying to those who oppose their views. But to those on their side, it makes the STR reader sound worldly and smarter than the average ‘uninformed’ Singaporean, only reinforcing their echo chamber. In turn, their worldview shapes their bastardised narratives, where Singapore is a dystopia ruled by a corrupt government. Another school of thought presumes the STR reader is disgruntled and underprivileged because they’ve been left behind by the elite in the country’s relentless pursuit for economic progress. After all, beneath almost every hardened cynic lies an extreme idealist. 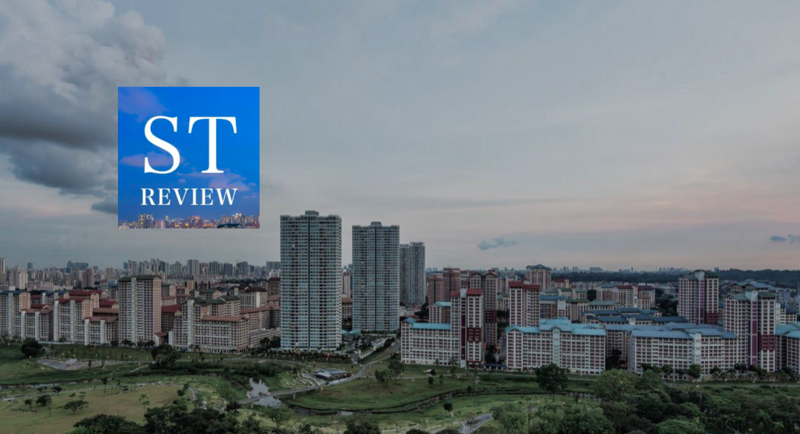 The STR reader may be stifled by Singapore’s rising costs of living, and resentful towards an education that no longer puts them ahead of their peers. They probably even think they’ve been ‘cheated’ out of ‘success’ that the government ‘promised’, so long as they followed the paths dictated and allowed policies to shape their lives. When reality doesn’t match their expectations, these people become disheartened and frustrated—first with themselves, then at the world. Left without any real solution, except to seek reassurance from a community of like-minded irate citizens, the STR reader allows their chronic cynicism to bind and blind them to their own flaws. A comparatively sound conversation with an STR reader. But it’s important to note that there are calmer exceptions to the rage-filled STR reader, just like there are a handful of sane PAP IB members. These people are willing to at least attempt engaging with opposing views, even if they may end up retreating to the comfort of their own perspectives. 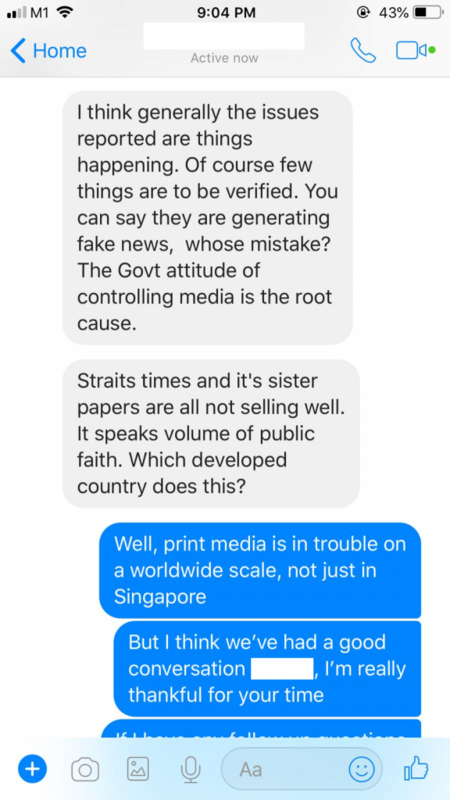 While chatting to a STR reader, who initially sounds relatively level-headed, he readily shares that “the system has started rotting”, “there is a price to pay for every stupid act” (in this case, voting for the PAP), and that the PAP is “actually a mad control freak heading to disaster”. So perhaps some of the States Times Readers are truly disenfranchised. There might also be people who are genuinely struggling and unhappy. Whatever the case, the widening knowledge gap between the elites, the middle class, and the lower class remains a real problem that the government needs to tackle. In the end, one must give the STR reader credit where it’s due. The STR reader is probably largely responsible for the government’s decision to enact the imminent fake news legislation, precisely what the STR’s ethos opposes. This is alongside the government’s plan to ramp up media literacy in schools. After all, one of the most effective ways to prevent our youth from developing the mindset of a STR reader is by teaching students the ability to critically engage the media they consume, from as early as primary school. This includes the fundamental skill of realising when a piece of news is patently fabricated or sensationalised to stoke raw ire. Unfortunately, it is impossible for the STR reader to see the irony when they wilfully and repeatedly pull the wool over their own eyes. Are you an STR reader? Tell us how wrong we are: community@ricemedia.co.